If they are serious about competing in the Eastern Conference beyond the regular season, the Wizards need to make a move. WASHINGTON — Good luck finding a team hotter than the Washington Wizards. 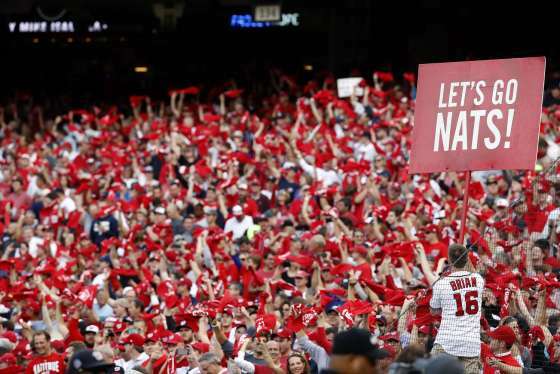 Washington may have seen more than its fair share of playoff heartbreak, but few cities can compare to its recent regular season success. As we emerge from the All-Star break, we know all the relevant numbers: Top team in the Southeast Division with a 34-21 record. Winners of 18 of their last 21 games. A memorable 17-game home win streak and a nice road turnaround (the Wizards entered the All-Star break with four straight road victories and have won six of their last eight away from Verizon Center after a 3-11 start). However, the Wizards are still looking up at the Cleveland Cavaliers and the Boston Celtics in the Eastern Conference standings. Not too far up — they’re two games behind Boston and five behind Cleveland — but the Wiz have work to do if they’re going to keep pace with them, let alone knock them off come playoff time. That discussion begins and ends with their awful bench. With the NBA trade deadline set for 3 p.m. Thursday, it’s time for the Wiz to remedy that. The Wizards have one of the best starting fives in the league. John Wall is a four-time All-Star, Bradley Beal and Otto Porter are three-point sharpshooters on their way to joining him as All-Stars, and Marcin Gortat is a double-double machine that happens to be one of the league’s best rebounders. Markieff Morris also enjoyed a hot streak entering the All-Star break. However, the Wizards’ bench is dreadful as a unit. The reserves combine to average just 23.4 points, 11.1 rebounds, 4.8 assists and 2.1 steals per game, all numbers that rank in the bottom three in the NBA. Those are the kind of numbers that make playoff appearances look more like cameos. But how do the Wizards improve their bench? Glad you asked. Trade rumors centered on two players: Lou Williams and Bojan Bogdanovic. Williams was clearly the top option: His 24.1 player efficiency rating is 14th in the NBA and higher than anyone currently on the Wizards roster. But now he’s a Houston Rocket, dealt there just hours after the Los Angeles Lakers underwent a massive front office shakeup. That means Ernie Grunfeld may need to turn his attention to Brooklyn. Adding Bogdanovic would be a good pickup all around — his 14.2 points-per-game average would be a huge help to a bench that desperately needs it. The Wiz would almost certainly have to give up their first round pick to the rebuilding Nets and likely have to part with Oubre, but if they can finagle a way to get Sean Kilpatrick in the deal, it might actually be worth it. Brandon Knight and swingman P.J. Tucker would be nice targets on the Suns roster but it sounds like the Celtics are enamored with Tucker and Knight’s contract is probably too rich despite the appeal of acquiring a poor man’s John Wall to back up John Wall. The Wizards are reportedly interested in a pair of players in the final year of their contracts that may not cost much: Minnesota’s Shabazz Muhammad and Sacramento’s Darren Collison. If the Wizards can’t find a deal they like, or simply deem giving up a first round pick and/or messing with team chemistry too risky, they can get Matt Barnes on the cheap. The 36-year-old swingman was cut by the Kings Monday to accommodate the ridiculous DeMarcus Cousins trade, despite averaging 7.6 points, 5.4 rebounds and 2.8 assists in 25.3 minutes of action per game. 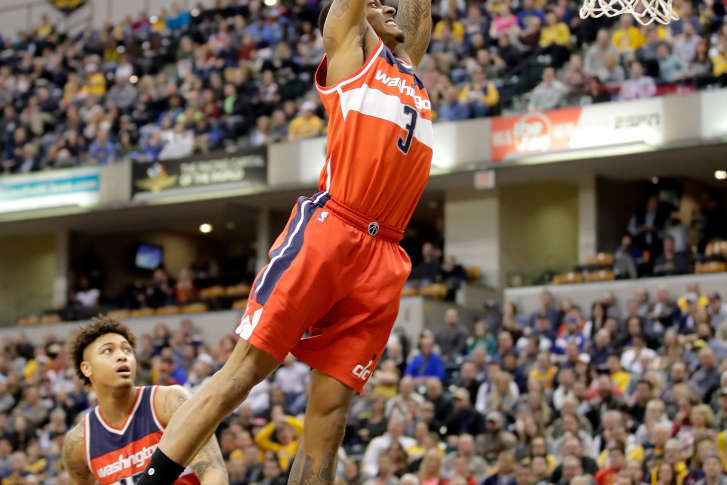 In addition to perimeter scoring, Barnes brings a swagger and defensive toughness the Wiz desperately need. Not that a “LeBron stopper” exists, but knowing your backup swingman won’t get eaten alive by The King could be the key to making a possible Eastern Conference finals matchup with Cleveland a long series. This much we know: The Wizards don’t have the luxury of standing pat. They have 27 games left to prove they’re not just a team that rode its formidable starting five to a hot streak and peaked early. No matter what happens in Boston and Cleveland, the Wizards can be a legit contender in the East if they make a move to get as deep as they are good.